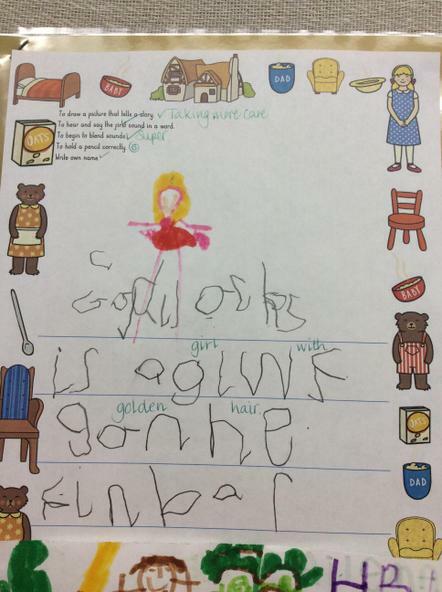 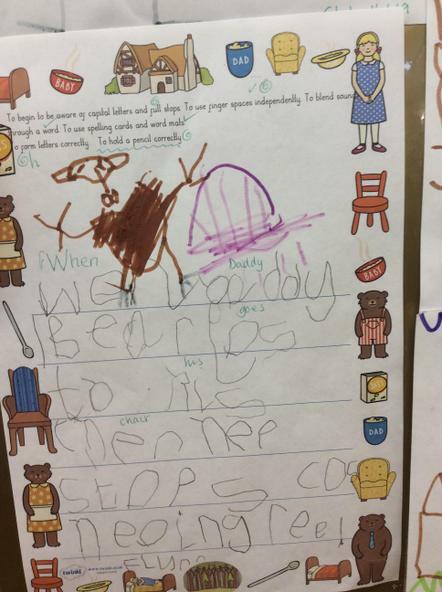 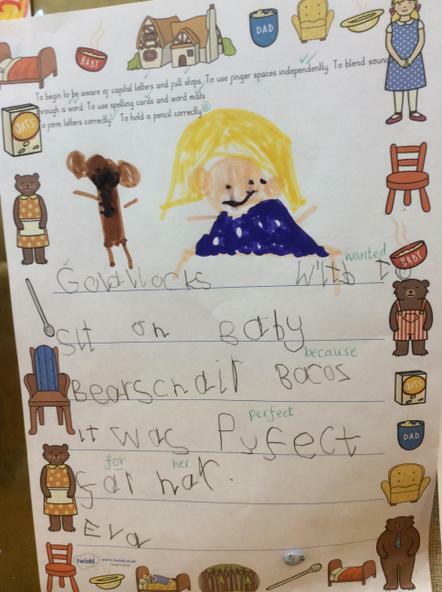 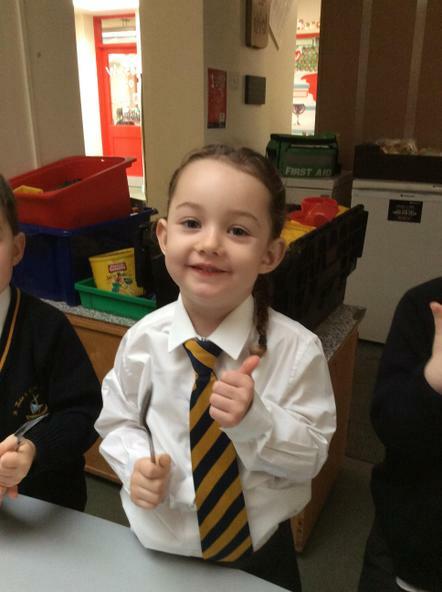 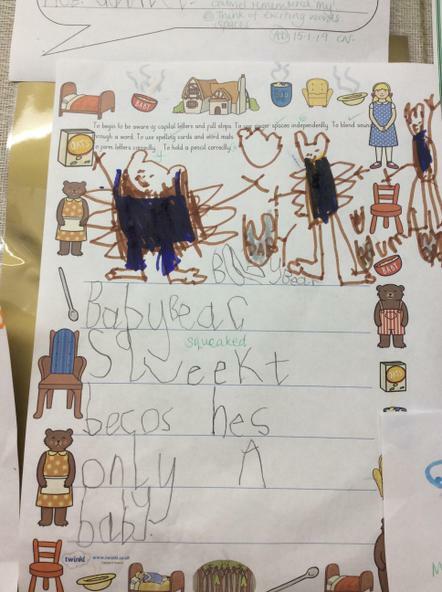 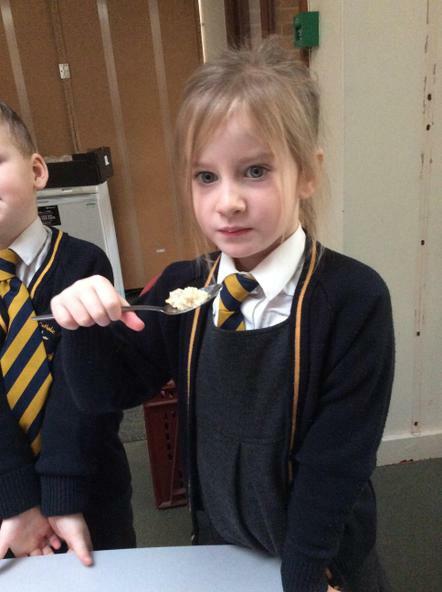 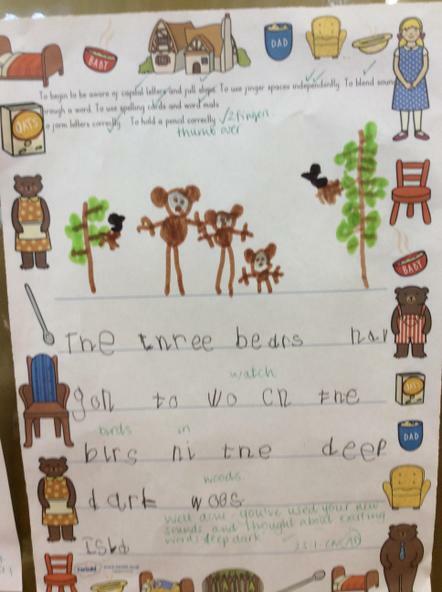 The children really enjoyed dressing up and acting out the Christmas story so we thought we'd spend time on traditional stories and have been doing lots of activities around Goldilocks and the Three Bears. 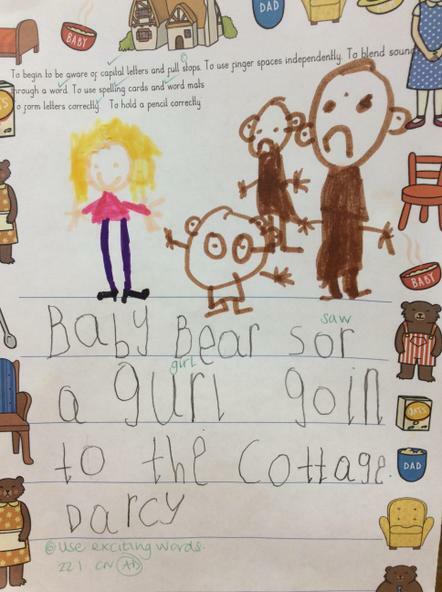 They've loved acting the story out in the home corner. 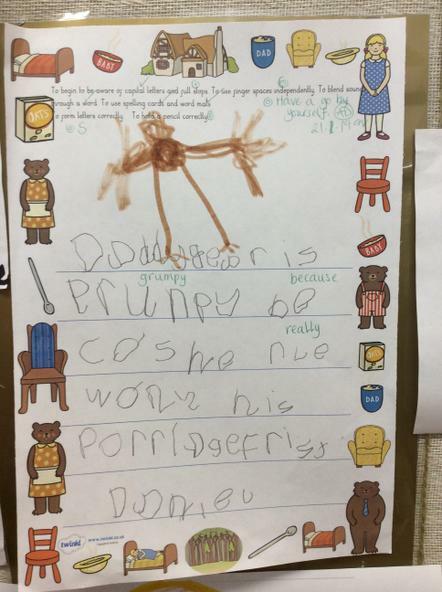 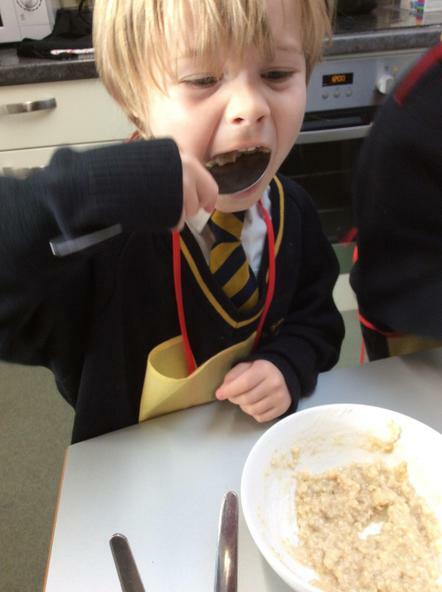 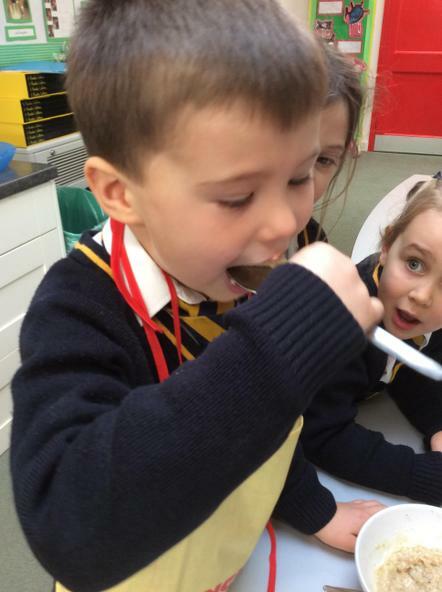 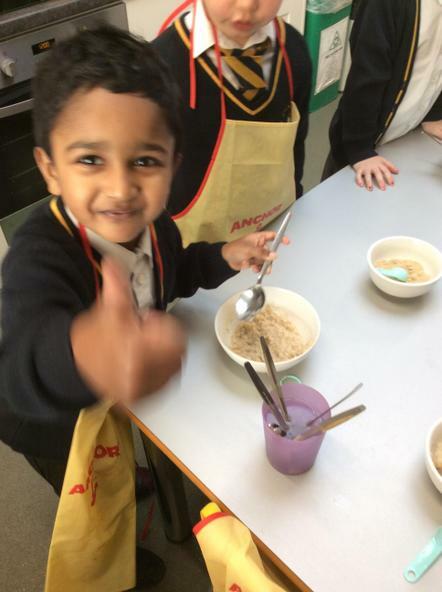 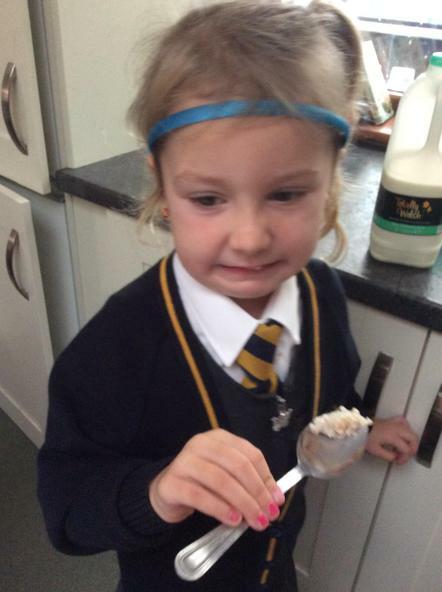 We made porridge. 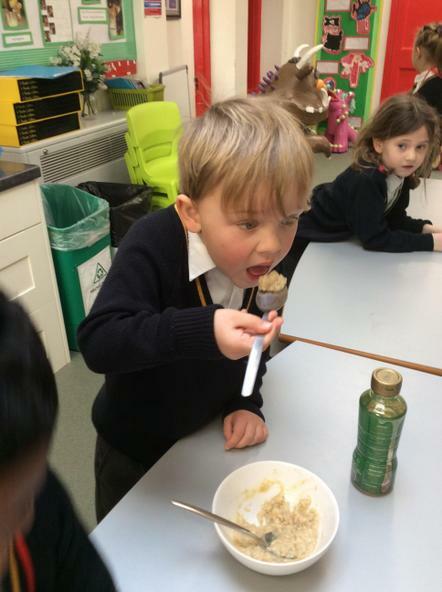 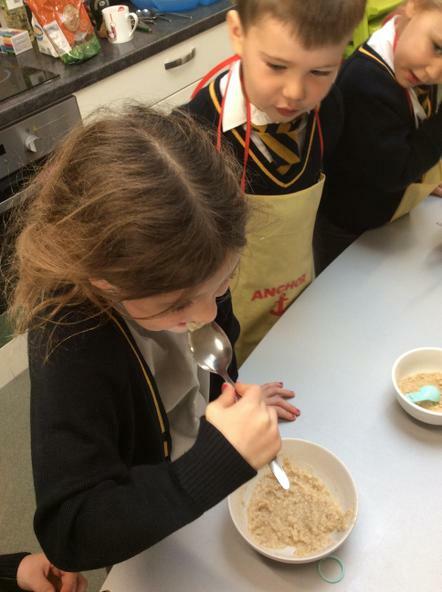 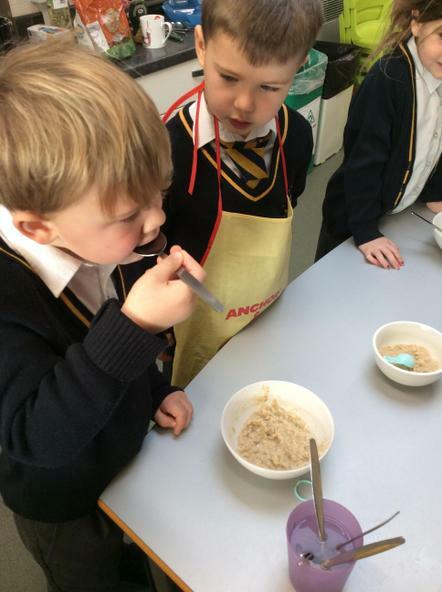 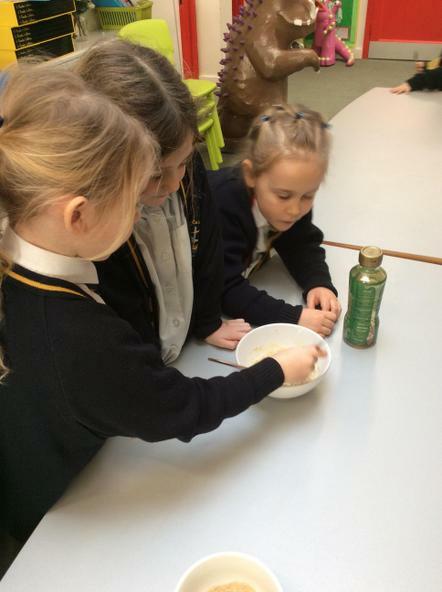 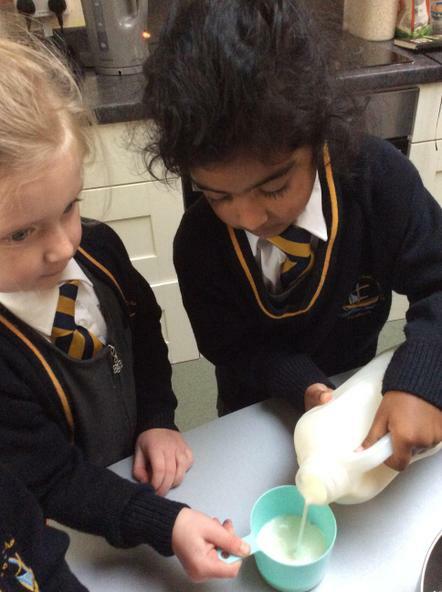 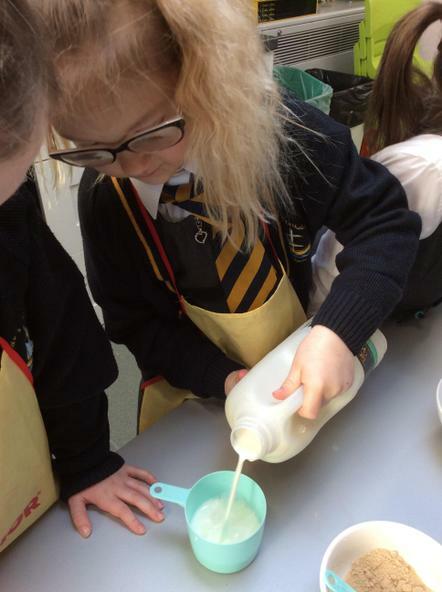 The children measured out the oats and water. 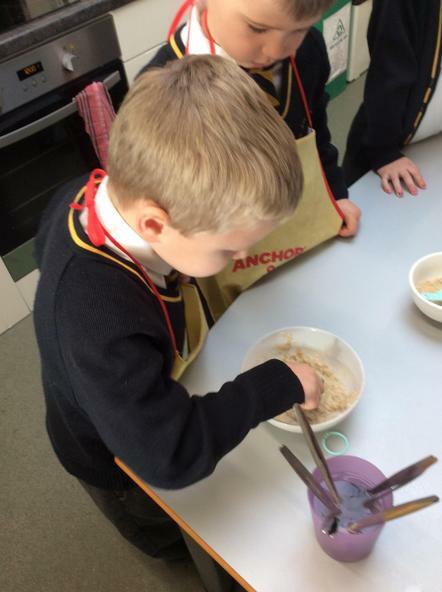 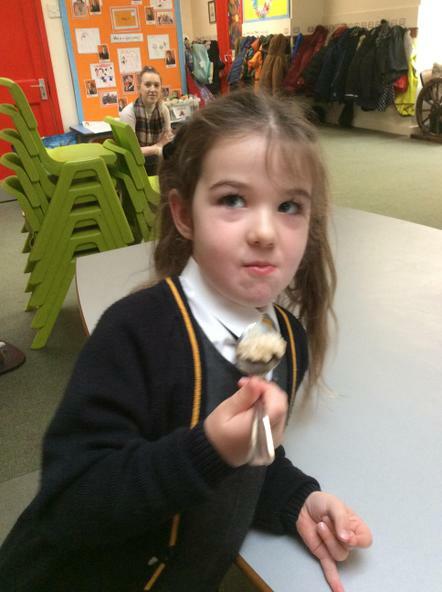 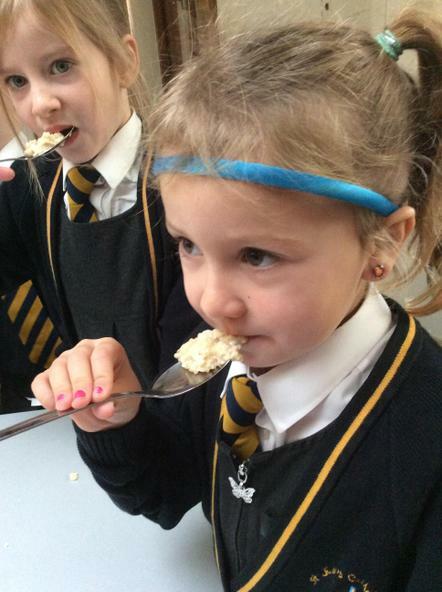 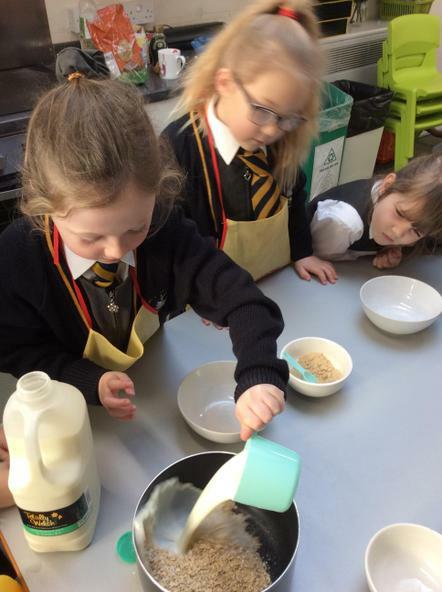 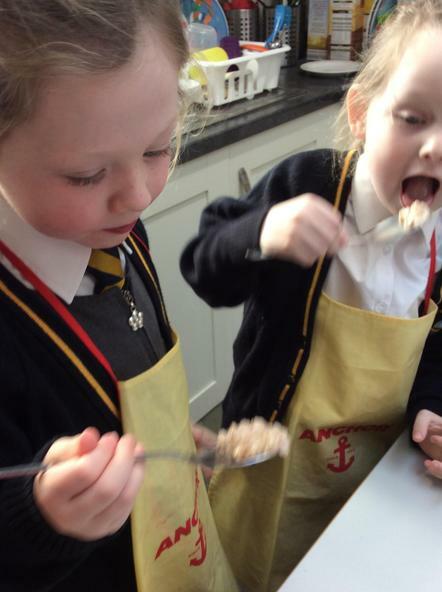 They were able to choose different toppings - honey, sugar, banana or salt. 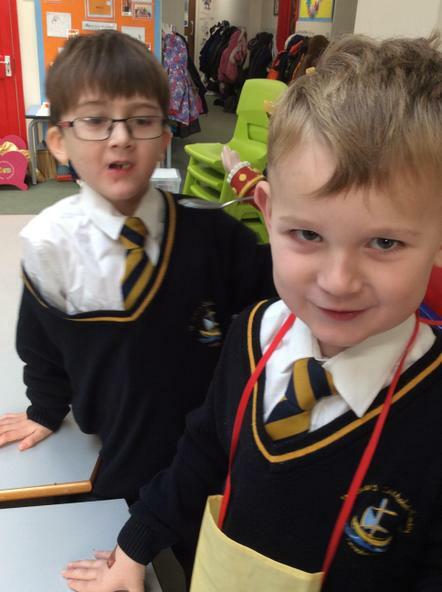 This half term we are exploring junk modelling and how to join things. 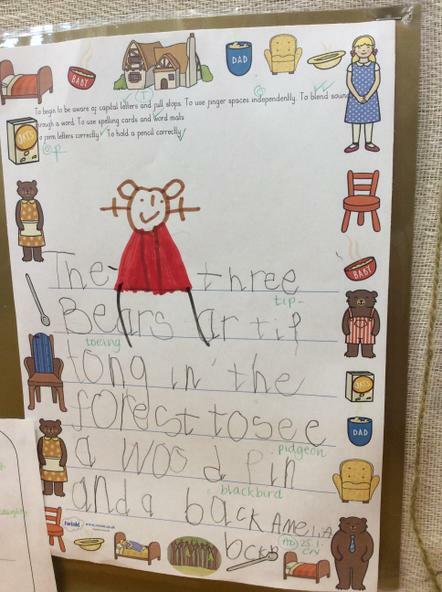 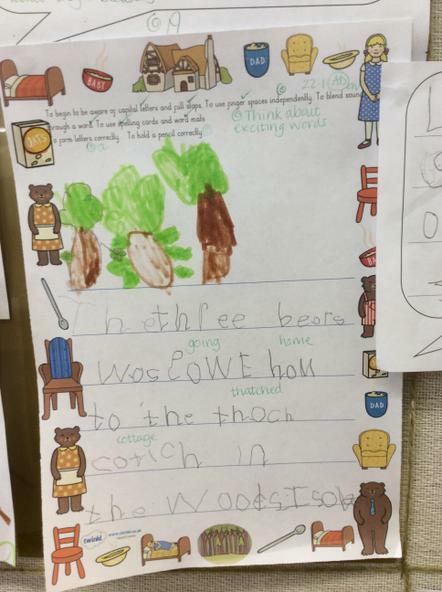 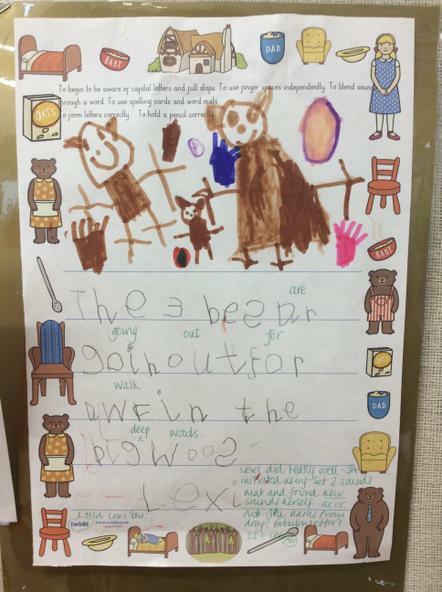 The children made beds and chairs for the three bears. 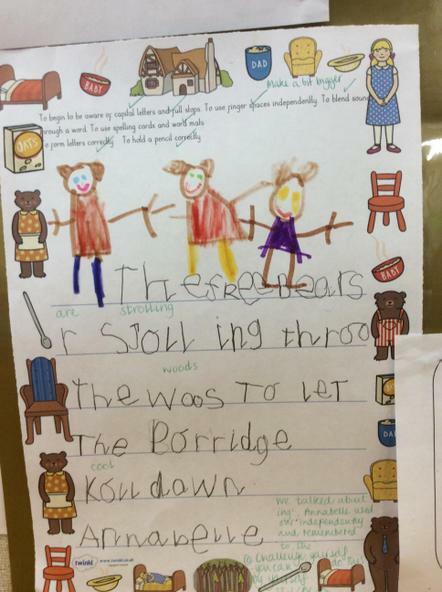 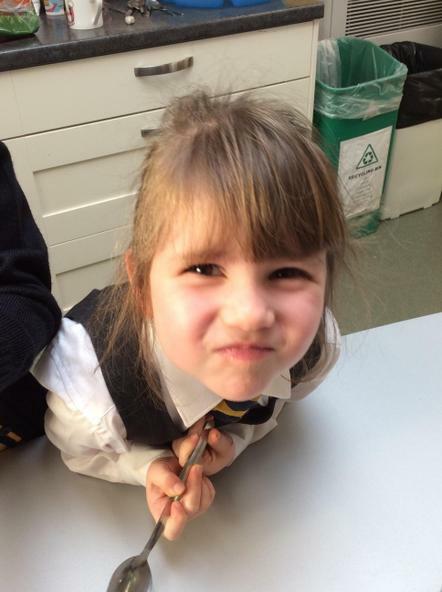 The children have explored the story all round the classroom. 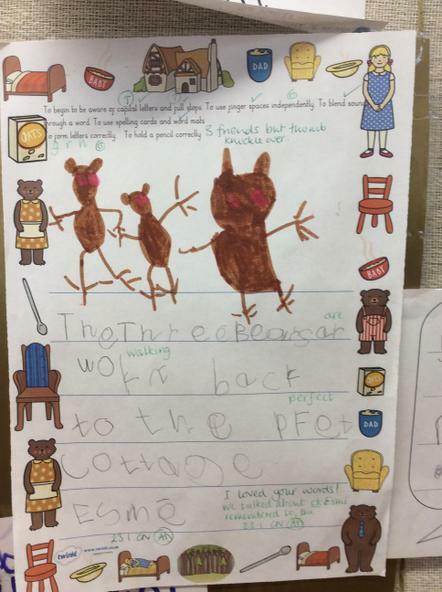 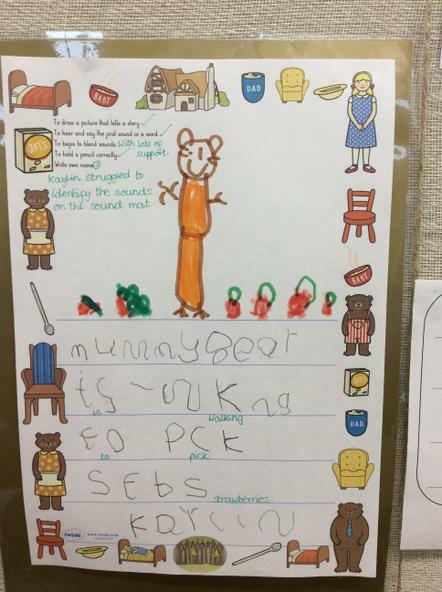 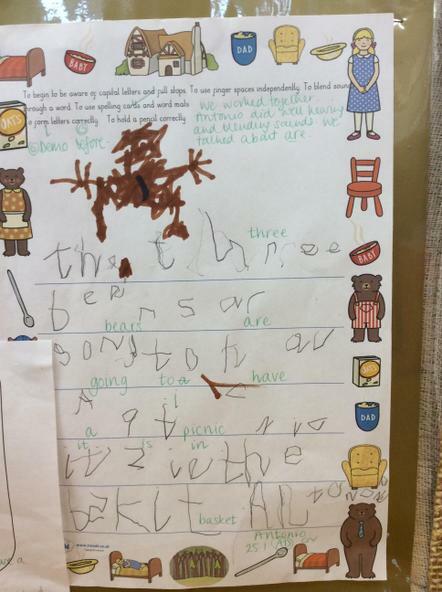 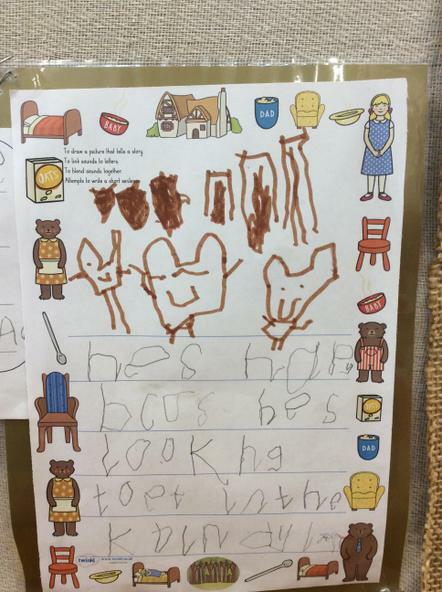 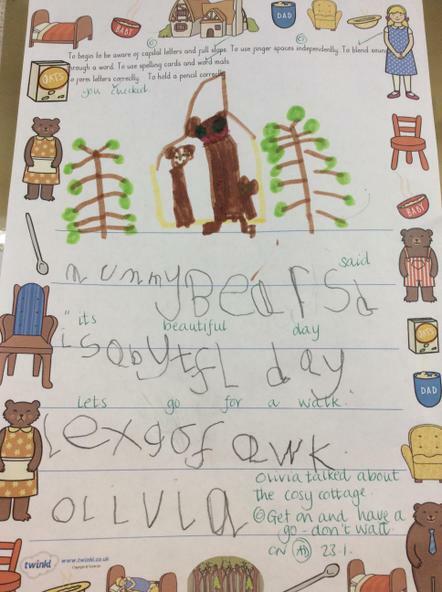 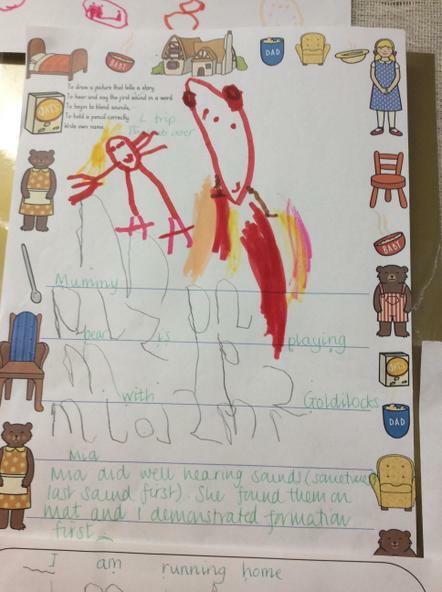 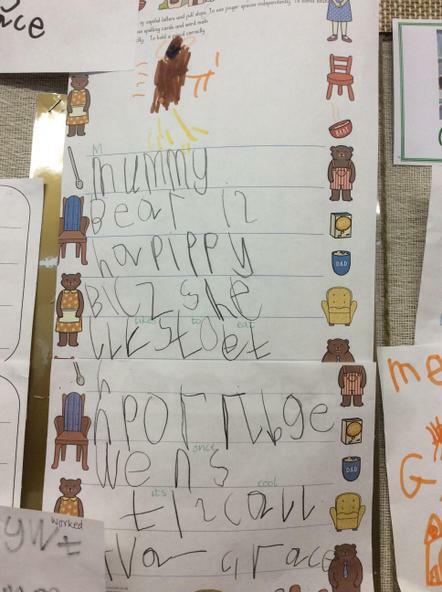 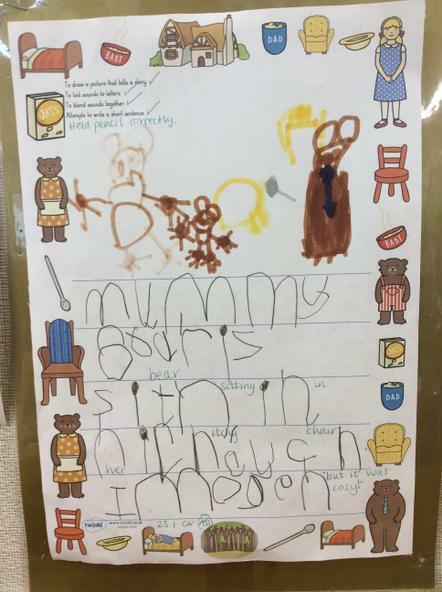 After lots of drama, retelling the story with signs and playing in the home corner, the children did some writing about the story.